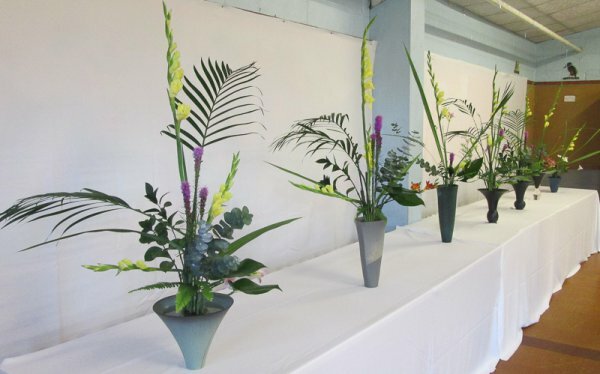 Rikka is a fascinating, beautiful style of Ikenobo Ikebana that is difficult to master. 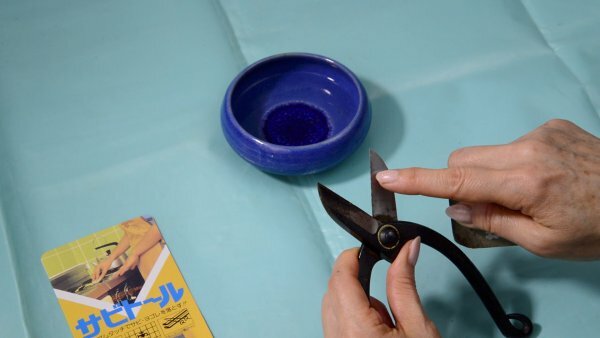 There are many techniques which will help you to create your masterpiece arrangement, and using ukezutsu to hold stems in position above the vase waterline is a key one to learn. This tip will show you how. 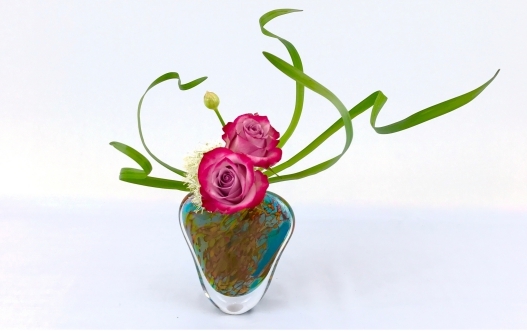 Sometimes our creative desires can be thwarted by equipment and one such situation is when you’d like to arrange heavy materials from the sloping side of a vase. Clearly it isn’t practical to glue a kenzan to the side nor can you use another kenzan to hold it. But fortunately there is a very elegant and easy-to-do solution, as you’ll see in this tip; it is quite wonderful just how useful wire can be, don’t you think? I’m sure you have a roll of Sellotape at home. 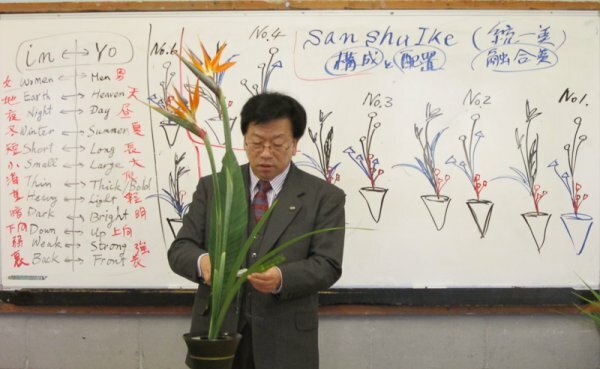 But have you used it in Ikebana arrangements? 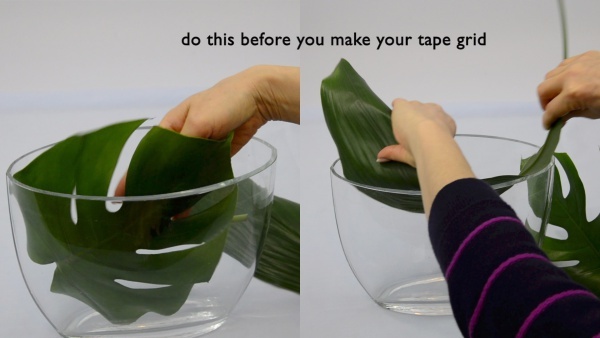 This week I want to show you how to have some fun with clear vases, using Sellotape instead of kenzan or other flower-holding methods. Why do we want to do that? Well, kenzan are wonderful, but not very pretty, especially after many uses. So in a clear vase it just looks naff. I am delighted to announce that Hana no Wa is holding a workshop weekend in June, in Ruislip, west London. 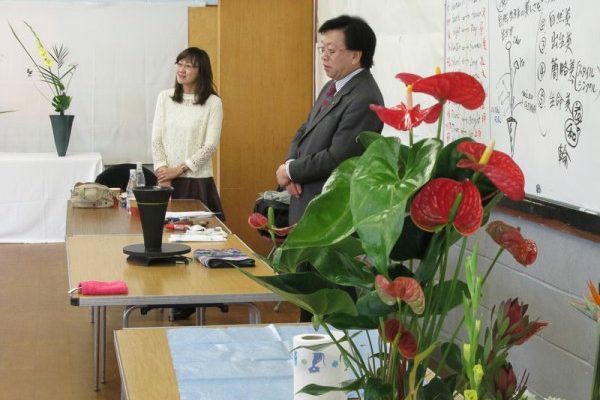 This is a very special occasion for me, being the 5th anniversary of Hana no Wa Study Group and the 15th anniversary of Ikebana by Junko. 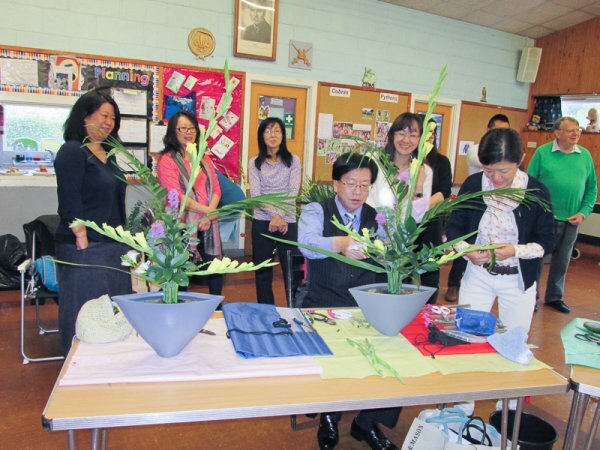 I am really excited to mark these two annivesaries with a wonderful weekend of Ikenobo Ikebana. We are priviledged to welcome professor Kurata, from Ikenobo HQ to give a demsonstration prior to our celebratory dinner on Friday. 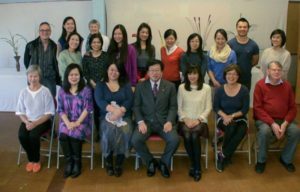 Professor Kurata will, then lead our workshops on the Saturday and Sunday, which means we will have a full weekend of wonderful study and practice. 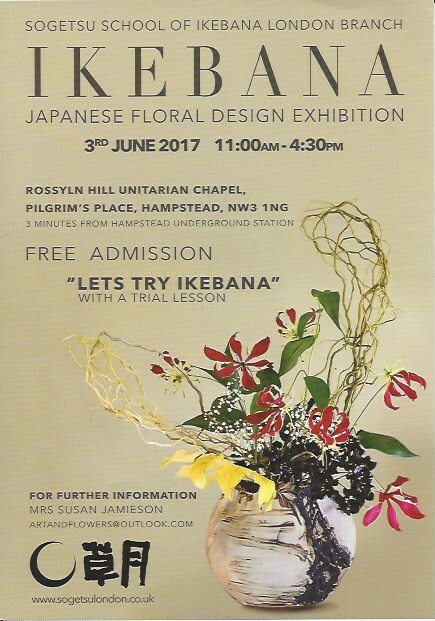 Details of the locations, dates and fees are below and I look forward to welcoming members and non-members to join our festival of Ikenobo Ikebana. For availability and to reserve your place, please contact Junko using my contact form or call +44 1895 622880. It is located adjacent to Ruislip Tube Station. Extensive parking available. It is located 5-6 minutes walk from Ruislip Tube Station. Limited parking available. Hana no wa Study Group has invited a Professor from Ikenobo HQ Japan. 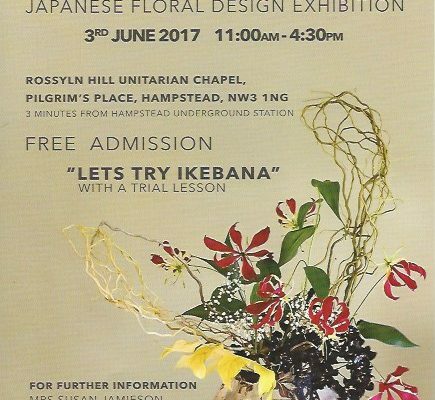 This is a celebration of 5th Anniversary of the group and a fantastic opportunity for you to learn and better understand Ikenobo Ikebana with a senior Professor, Katsuhito Kurata. He will give us a demonstration, intensive lectures as well as workshops for Rikka, Shoka and Free Style. We do hope you can attend and participate this special event as much as possible. All levels can attend Shoka/Free Style workshop. Rikka is suitable for advanced or upper intermediate. Please contact Junko for availability. kado@ikebanabyjunko.com or call 01895 622880. We have arranged to have dinner with the visiting Professor. Your partners are welcome. Please check availability by using my contact form. 23 June (Fri) Celebration Dinner Party at the Barn Hotel, £45 per person excluding drinks ;payment with booking. Vegetarian/vegan menu available. You can open and download the full weekend details and registration form here. 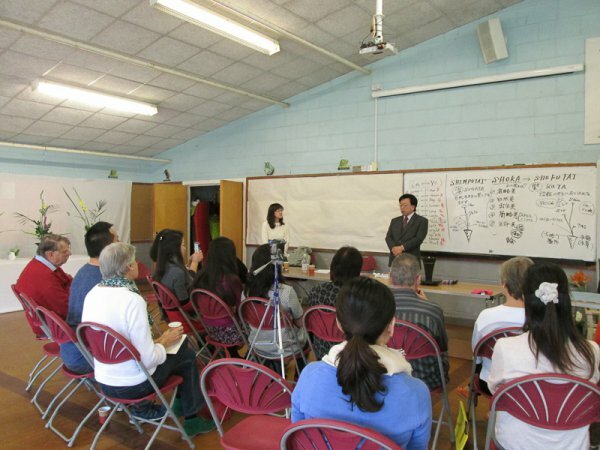 Pictures from a past Hana no Wa Workshop. and the 90th Anniversary of Sogetsu School. 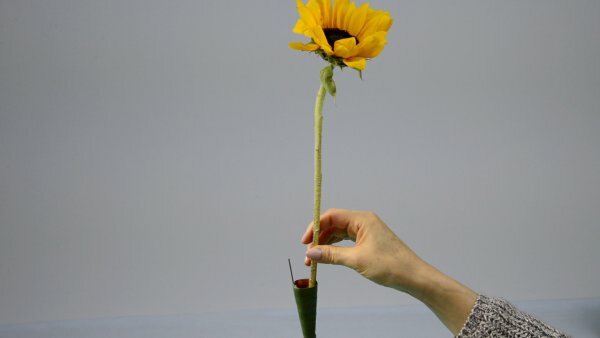 I love to create interesting and unusual artistic effects in Ikebana using all manner of things. None more so that taking plant materials and adapting them – you might say that this is giving plants new life in a different form. Calla is a very versatile flower and the stems can be very interesting too. So try taking a couple of calla stems, and it’s ok if the flowers are past their best, and use them to create…calla spaghetti! I suspect that most of us enjoy our daffodils; that burst of colour and energy that heralds the spring and warm weather and lots more flowers to come. But when our daffs are finished, the tempotation is to take off the dead the flower heads, fold over the leaves to make them a bit tidier, then ignore them until the next year’s spring. Well really we shouldn’t just ignore them, because with a little trick we can do wonderfully creative things with their leaves – before we’ve folder them over, of course. 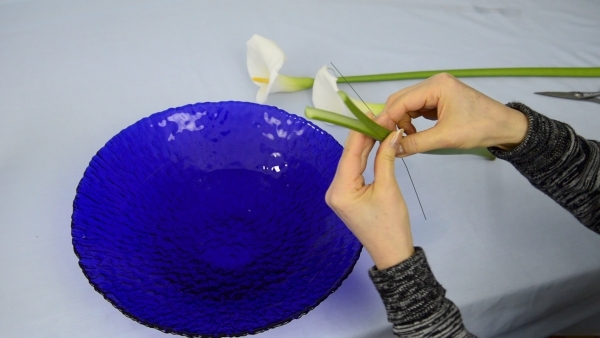 So, if you still have them unfolded, get out and cut a few daffodil leaves then use this simple wiring technique to do some lovely creative Ikebana arrangements…here’s this week’s video. 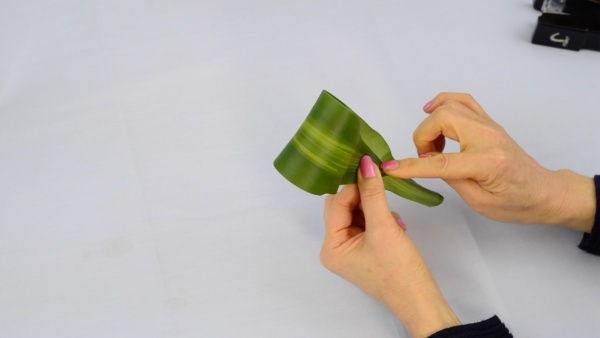 There are all sorts of way to get creative with leaves, and sometimes the best ones are really the simplest…like this one. With just a stapler and your imagination, you can take all sorts of leaves and fix them into shapes that give you unexpected opportunities for creativity.